East Texas Title Companies is a locally owned and operated group of title companies serving the East Texas Area. We've built our business on the belief that a local company is your best choice for personal service and first-hand knowledge of East Texans and East Texas real estate. At East Texas Title Companies, our focus has always been on serving our customers by conducting our business better, smoother and more efficiently than anyone else. Our constant goal is to set new standards, meet or beat those standards, and then raise the bar again. That is how we provide the quality service that continues to exceed our customer's expectations. 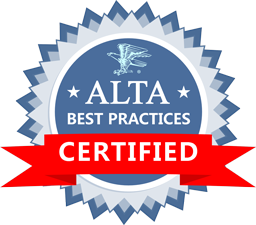 East Texas Title Companies is pleased to announce that we are compliant with the American Land Title Association's (ALTA) Best Practices. We are certified as compliant, which ensures the protection of the consumer though the entire real estate transaction. We provide Lender, Realtor and Landman educational seminars so are always in the know. Whether you are a Realtor with a question about a contract, a Lender who needs advice on a refinance, or a Landman who needs a title opinion, we have attorneys available to answer your questions! With ETTC, your business is in good hands! Many of our employees have earned certifications through the Texas Land Title Association, making them respected experts in our profession. 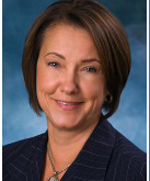 Our Owner, Celia Flowers, earned Texas Land Title Association’s highest award: 2011 Title Person of the Year! Our Closing Manager, Brandi Abercrombie, has been recognized two years in a row: she was 2010’s Rising Star and 2011’s Peggy Hayes Teaching Excellence winner! Congratulations! 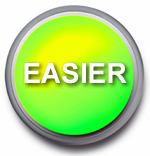 Our website is the one-stop shop for realtor, lender and landman tools. Realtors and lenders can place and track orders online and use our online calculators – 24/7! Landmen can access county records any time, any day! We hold regular training sessions for our staff and provide the systems and cutting-edge technology required to deliver the highest level of personal service on your transaction. We execute fast turn times on commitments and policies…and we give you a heads-up if there are any issues. East Texas Title Companies is a group of SERVICE oriented title companies with a can-do attitude. We truly value our client relationships and constantly strive to maintain them through consistent, responsive and knowledgeable service. 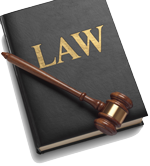 Our abstractors and examiners have a combined 85 years of experience. Our closers and processing staff has over 115 years of combined experience. 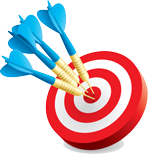 This means we produce accurate and timely commitments and provide excellent customer service. We view ourselves as a part of your team, and we understand the value of keeping you and your clients informed every step of the way. We build relationships through market and industry knowledge, offering personalized services and communications so you can serve your client better. We understand real estate doesn’t always happen between the hours of 9 to 5, and it also doesn’t always happen in an office. With OnsiteClosing, we do the traveling so you don’t have to. 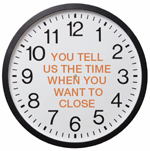 We can close anywhere, at any time of day. And you know how family is: when you get one, you get them all! East Texas Title Companies not only provides title insurance and real estate services. We can also get you a just-in-time tax certificate, provide you with online access to county records, and provide legal services.